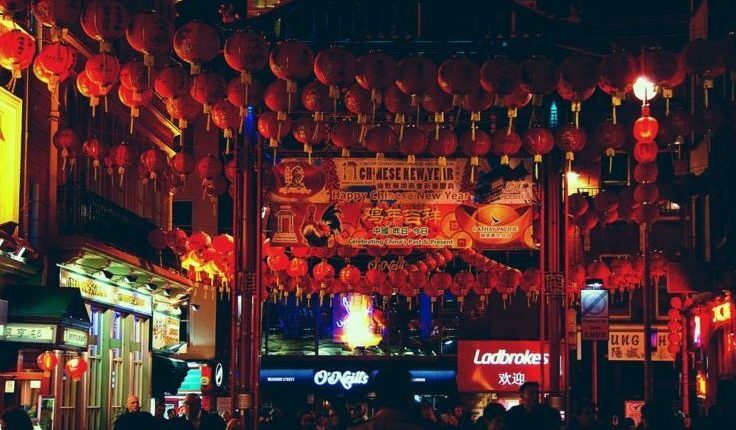 It’s nearly time for Chinese New Year – always one of London’s biggest and most popular events. And, even better, it’s free! Every February London hosts one of the largest Chinese New Year events outside Asia. This is truly one of the great, unforgettable experiences in the city’s year. This time it will be held on Sunday 10th February. So mark your calendar, because this festival has something for everyone. The Grand Parade starts at 10 am, and the rest of the festival begins at midday, with the organised events finishing at around 6 pm. The celebrations cover quite a large area, so give yourself plenty of time to wander, immerse yourself in the magical atmosphere, and maybe sample some culinary highlights as well. Don’t miss the Grand Parade, which starts at the north end of Trafalgar Square and heads up to Shaftesbury Avenue. This is always a highlight of the day with dancing Lions and Dragons accompanied by colourful floats. Step into another world in Chinatown, which will be decorated with hundreds of red lanterns and full of incredible festival atmosphere. Enjoy the sheer energy of the crowds, and stumble across more Lion Dances as you explore its colourful streets. Foodies should head to Chinatown, as well, for some delicious flavours of the festival. A number of restaurants will be offering special menus, with Gerrard Street being the main food zone. If you’re into spectacle, you’ll find plenty to enjoy in Trafalgar Square. Whether it’s martial arts, music, theatre or even Beijing Opera, there’s a whole range of performances to watch and marvel at. And if you’re visiting with kids, head over to the special family zone in Leicester Square. Here, younger visitors can have a go at art activities or traditional costumes. The Chinese New Year celebrations are incredibly popular. 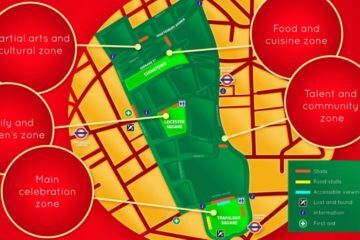 The area around Trafalgar Square, as well as Chinatown itself and Shaftesbury Avenue, will be absolutely full. We especially recommend getting there early if you’d like to see the parade. The celebrations cover a large area, so it’s a very good idea to have an event plan to consult. This will help you navigate and also find information points, the parade route itself, and other events or places of interest. Thanks for another wonderful post. The place else may anyone get that type of information in such a perfect way of writing?